Owen Gilhooly studied with Jean Holmes at the Limerick School of Music and subsequently at the Royal College of Music and National Opera Studio, supported by the Arts Council of Ireland, the Belfast Classical Music Bursary, the RVW Trust and the Sibyl Tutton Trust. 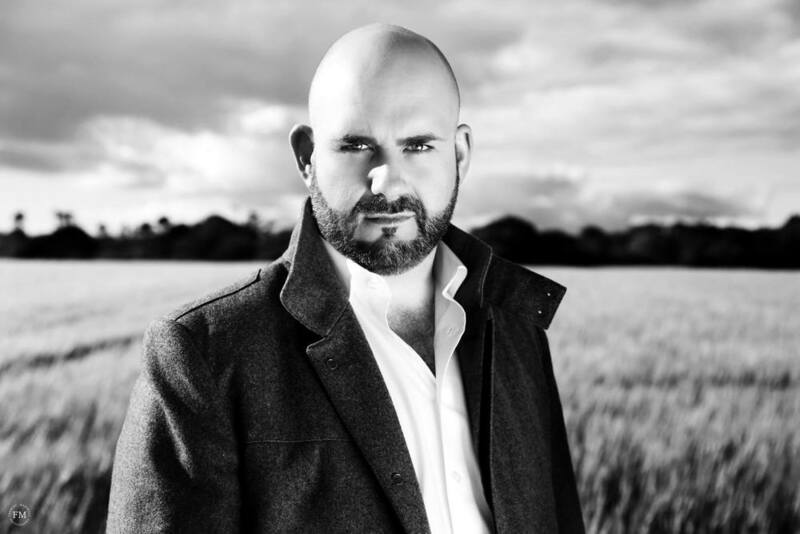 He made his Royal Opera House debut singing Fauré Requiem for the Royal Ballet and in 2007 represented Ireland at BBC Cardiff Singer of the World. Having had a significant career as a high baritone, his voice has now developed into the tenor range with focus on lyric repertoire including Macduff Macbeth, Don José Carmen, Lensky Eugene Onegin, Cavaradossi Tosca. Owen made his operatic tenor debut as Borsa Rigoletto for Opera Theatre Company. He is currently pursuing Doctoral studies at the Royal Irish Academy of Music where he was recently appointed to the Vocal Faculty. Significant performances include Robert in the world premiere of Luke Bedford’s Through his Teeth (Royal Opera House, Covent Garden); Emilio Il cappello di pagila di Firenze (Wexford Festival Opera); Escamillo Carmen (Opera Theatre Company); Valentin Faust (Everyman Theatre, Cork) and Beethoven's Christus am Olberge in Spain with Camerata Ireland. He has appeared in principal roles with Opera Ireland, Opera Theatre Company, English Touring Opera, Lyric Opera, Scottish Opera, Opera North, The Opera Group and the Royal Opera House, Covent Garden. He has made frequent appearances at Wexford Festival Opera, Lismore Music Festival, Buxton Festival Opera, Les Azuriales Opera and Musikverkstatt Wien. In concert, Owen has performed with both national and international orchestras, including the RTÉ National Symphony Orchestra, Ulster Orchestra, Tokyo Symphony Orchestra, Royal Liverpool Philharmonic Orchestra, London Philharmonic Orchestras and the BBC Symphony Orchestra, with whom works have included - Berlioz L'enfance du Christ and The Bridegroom The Vanishing Bridegroom, Bill Bobstay HMS Pinafore and Konecký Osud at the BBC Proms. Appearances include Mozart Requiem, Jenkins The Armed Man RTÉ Concert Orchestra, Mozart Requiem Culwick Choral Society, Mozart Mass in C Minor Carlow Choral Society, Lensky Eugene Onegin, A Nations Song 1916-2016, Military Bands of the Defence Forces, the concert premiere of the new opera The Nightingale and the Rose, El Rememdado Carmen, Messiah with the Irish Baroque Orchestra & Verdi Requiem at the Cork International Choral Festival & Maynooth University. Current & future performances include Gaston La Traviata for Lyric Opera Productions, a return to the National Concert Hall with Irish Songmakers for 'Songs of a Gypsy Life' featuring music by Brahms, Dvorak and Haydn. Beethoven Missa Solemnis with Oxford Harmonic Choir, Opera Gala at St John's Smith Square for Irish Heritage, the opening gala of The Cork International Choral Festival 2018, Danilo The Merry Widow, Sun in the world premiere production of The Nightingale and the Rose at the Everyman Theatre, Cork and Borsa Rigoletto for Cork Opera House. "Owen Gilhooly's bumptious bird-man is hugely engaging and strongly sung." The hilarious Papageno was played by Limerick man Owen Gilhooly. The baritone shone during the companies performance, his stage craft phenomenal and his voice controlled and exceedingly powerful, Gilhooly should be noted for his enthusiasm and dedication to his role. Copyright © Owen Gilhooly, All Rights Reserved.